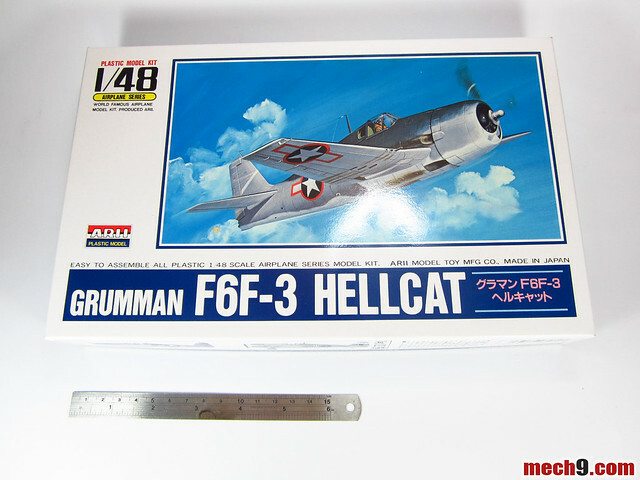 Got this from HobbyLink Japan, the 1/48 Grumman F6F-3 Hellcat by Arii. 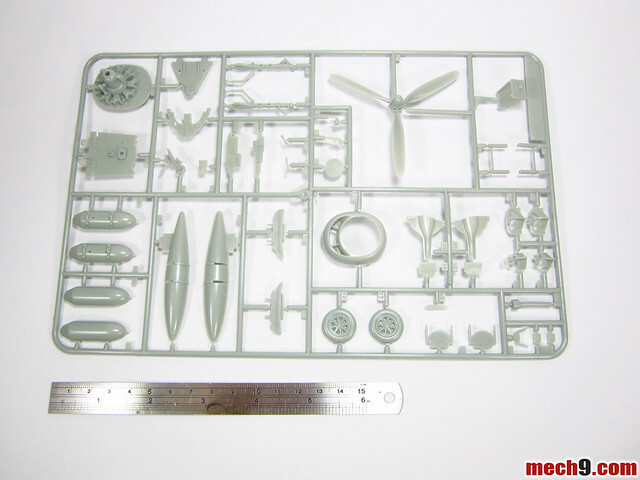 A simple but beautiful scale model kit rendition of the beloved frontline fighter that helped immensely turn the tide of the Pacific War during World War II. The F6F Hellcat replaced the terribly outclassed F4F Wildcat as the main carrier fighter in World War II. It was able to best the Japanese Mitsubishi A6M Zero with its superior speed, toughness and weapons suite and therefore win the air war in the Pacific. Upon opening the box you see two plastic bags. 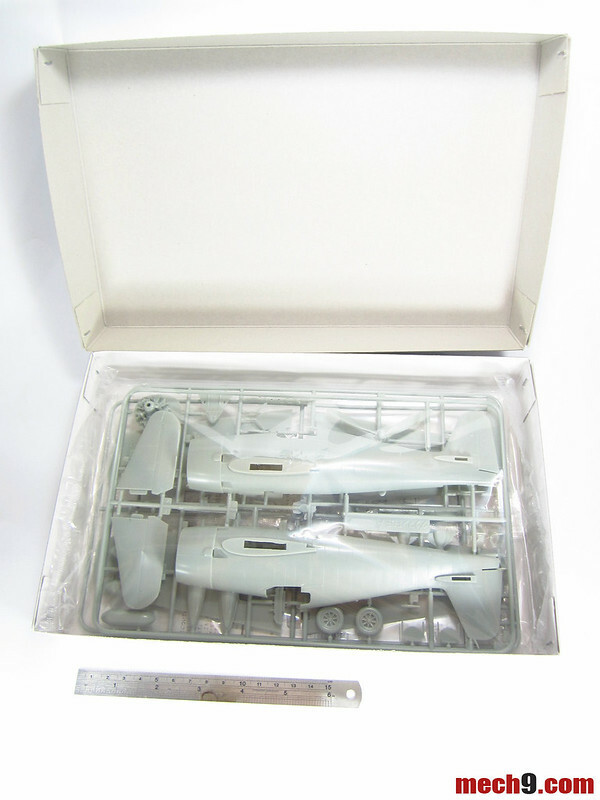 One bag contains the three runners containing the parts needed to build the kit. There is also another runner that holds the clear canopy. The other plastic bag contains the manual and decals. Next to the plastic bag is a 6 inch metal ruler for comparison. 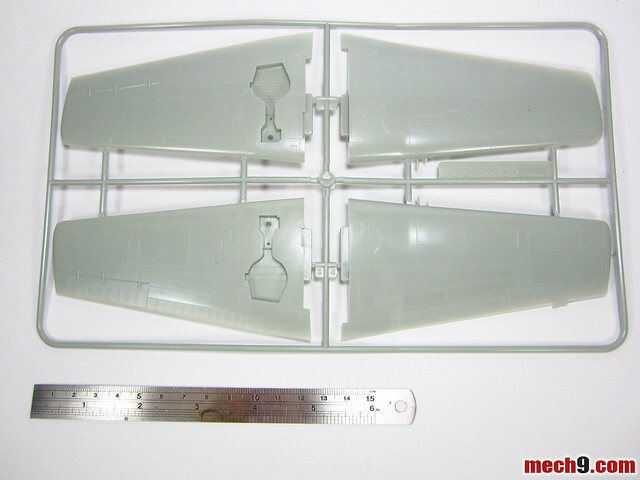 Here's a shot of the runner with the clear canopy next to a 6 inch ruler for comparison. 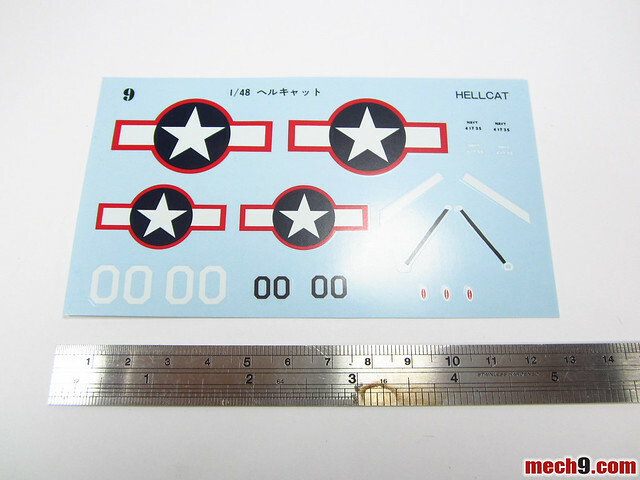 Water slide decals included are for a US Navy F6F-3 Hellcat. 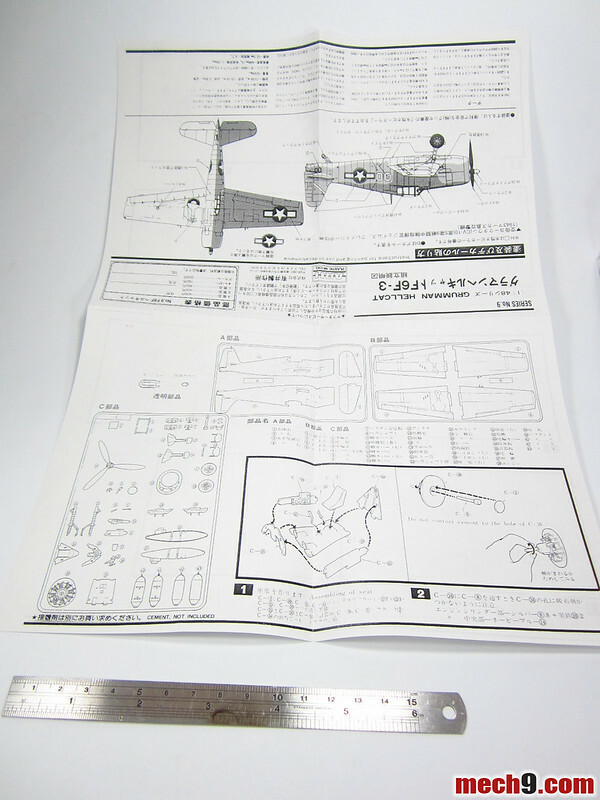 Single page back to back manual with just 13 steps diagrammed in order to complete the scale model kit. There are also English instructions written beside the Japanese instructions. But the build isn't really that difficult, just by looking at the diagrams you can figure it out already. 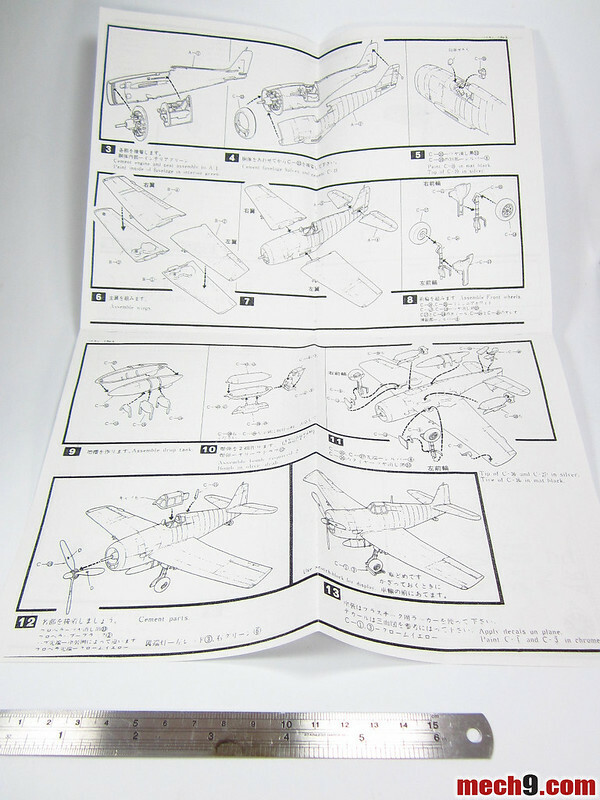 Also printed alongside the instructions steps are the English translated colors needed to paint the specific sections of the scale model kit. Here's a shot of the 3 runners holding the parts needed for build the kit. Shots are taken right next to a 6 inch metal ruler for comparison. 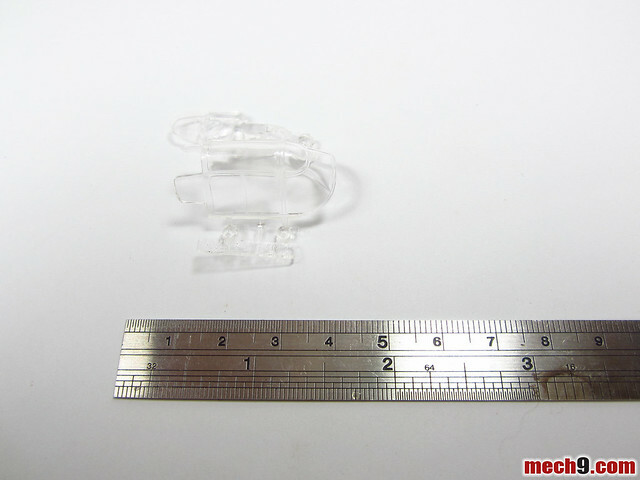 If you look closely (click to enlarge), you will notice a lot of excess plastic on some of the parts. Nothing that a little "file" work can't take care of. Will post a more detailed report on this after I finish building it. 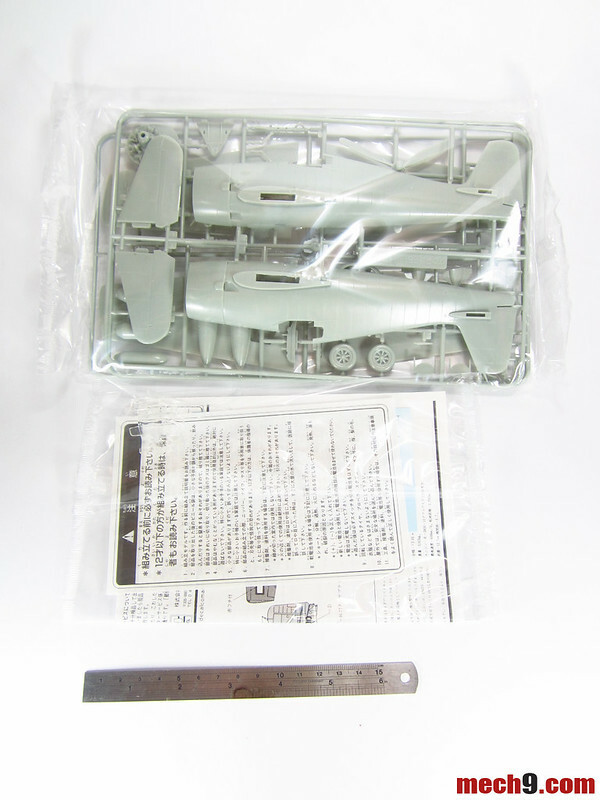 But judging upon the initial unboxing and inspection of the parts, I have to say that this is a good kit for its price. One thing I wished it had though was a sitting pilot figure that I could put in the cockpit. 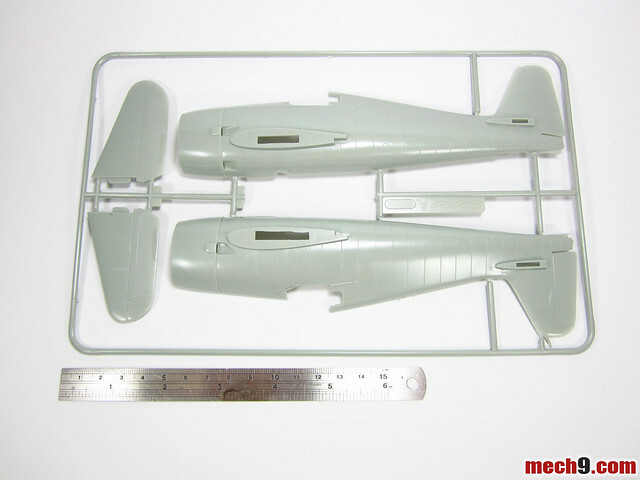 I always like my model planes to have pilot figures in them.